When I started running for real this spring I had no idea what I wanted in terms of gear. I knew I needed quality shoes but I didn’t really know how to find them. The first pair I had was a known brand, but I could not run in them. I got the worst shin splints almost instantly. I knew they wouldn’t work. The second pair (different brand) have been my go-to shoes and I was really skeptical of ever trying anything else due to my experience with the shin splints from my original shoes. 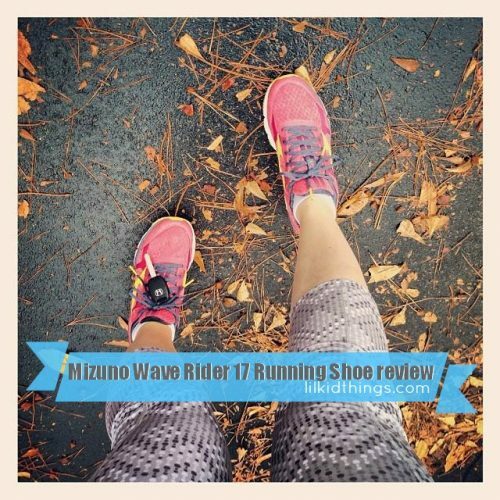 But when I had the chance to review the new Mizuno Women’s Wave Rider 17 Running Shoe , I definitely wanted to try them out. Mizuno has an excellent reputation among my running friends and now that I have a pair I can see why! The Wave Rider 17 shoes are lightweight, comfortable and really effortless to run in. When I first put the shoes on, I worried they would be too snug. They seemed to rub a bit on the top of my foot just above my toes. Knowing most shoes need at least one run to break them in, I wasn’t going to give up just yet. Turns out that is all it took for these. By the end of my first run, my Wave Rider 17’s felt great and I had no discomfort whatsoever. Today, I ran in the rain and I didn’t slip once, which is an issue I have with my prior shoes even though I love them. The tread is great and while my toes did get a little wet, it wasn’t anything that hindered my run. I do not consider myself an expert on running and especially not running gear. I just know what works and I definitely know what doesn’t work. I fully expect to get every last mile I can out of my Wave Riders! A year ago, I was wide-eyed looking through my local running store at all the brands and options. Now that I have been at it a while, I have a pretty good grasp of what I like. If you are just starting out, the last thing you want is a setback because you were in the wrong type of shoe. I suggest going to a local running store and getting “fitted” for the proper type of shoe. I have a pretty neutral gait so the Wave Rider 17 are a great pick for me. 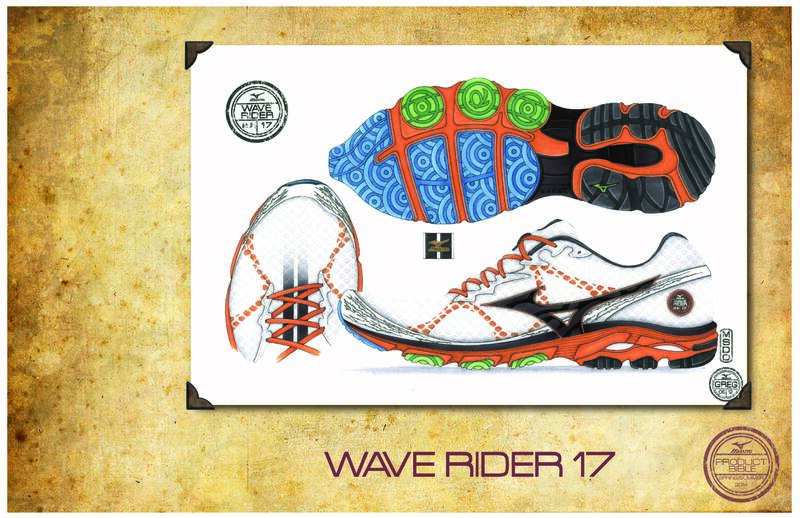 The Wave Rider 17 Running shoes are available starting today! 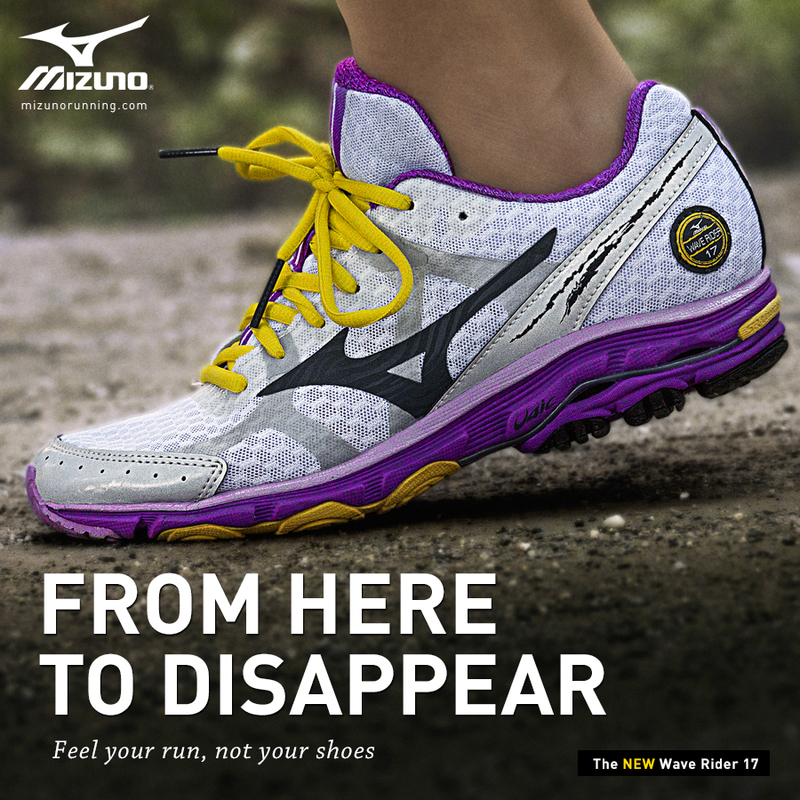 Check MizunoUSA for Women and Men’s styles. The Wave Rider 17 running shoes retail for $114.99. Happy Trails! Disclosure: This post is sponsored by FitFluential LLC on behalf of Mizuno. All opinions are my own. Thanks for sharing your experience with the running shoe. I’m in the market but want a pair that I can use for both trails and track. So far I’ve found the zigkick by reebok. Do you think these would be good for trails, too? I don’t do too much trail running but I think they would. I’ve run the greenways which have different surfaces with no problems.